Today’s post will take a look at the many causes of psychological stress. As we have already discussed, stress can come from a great variety of sources, both internal; having to do with our own perception of the world, our current realities, and our philosophies on relationships and life in general, and external; stemming from the outside world and the pressures placed upon us by others. Furthermore, whether our stress triggers are primarily internal or external, each of us has a different threshold for stress, meaning that what may be a manageable load for one person, may completely overwhelm another. We will discuss some of the reasons for these differences in our vulnerabilities to stress as well. 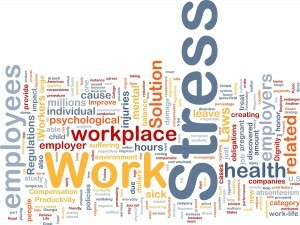 Listed below are some of the most commonly experienced internal and external stress triggers. Keep reading to see which ones act as the major players in your life. Are the biggest contributors to your stress level primarily internal or external? Thinking about and identifying your triggers is the first step to properly managing your stress. Worry/ rumination: if you are constantly imagining the worst possible outcome of any given scenario, this will inevitably lead to stress, not to mention negatively impact your ability to problem solve or reach effective solutions to your challenges, big or small. Perfectionism: when we set exceptionally high standards for ourselves – aiming for ‘perfection’ in whatever capacity, we are guaranteed to end up disappointed in our results. Perfectionism could take the form of obsessing over insignificant details; causing us to lose time and productivity, chronic dissatisfaction with our outputs regardless of how much effort was put into them, and procrastinating; which can cause us to put off important projects until the last minute in order to provide us with an excuse for an unsatisfactory performance. All of these undoubtedly lead to unhealthy stress. People-pleasing: a tremendous contributor to stress by causing us to over-commit ourselves and do things we don’t really want to. This leads to further resentment of ourselves, our actions, and the people in our lives. Workaholism: all work and no play… Enough said. Negative self-talk: a generally negative bias towards ourselves and the world around us leads to an accumulation of negative emotions which can become very mentally and physically taxing. Low self-esteem and social comparison: feeling poorly about ourselves causes enough damage, but constantly comparing ourselves to others we feel are superior results in further anxiety and feelings of inadequacy. A recipe for chronic stress and dissatisfaction. Self imposed obligations: this can well be one of the worst internal stress triggers as it causes us to try and live up to standards that may feel unnatural to us. A good example of this is trying to live up to societal expectations such as graduating, getting a job, moving out of your parent’s house, and finding a life partner all on an arbitrary timeline; marriage by 28, kids by 30,so to speak. This can be highly stressful as it places a lot of pressure on an individual. While some of the pressure may be societal, this is still a self-imposed, or internal trigger, as we are the ones who have deemed it important to abide by certain norms, for example. Pressure at work: a very demanding job or employer who has unrealistic expectations for employees will undoubtedly lead to stress as you scramble to get everything done in the time allotted. When you are unsuccessful because the workload is excessive, this leads to more stress and feelings of inadequacy and underachievement. This pattern can also lead to professional burnout and other adverse consequences to one’s emotional health. Dealing with difficult people/ confrontation: confrontation is never pleasant, especially when we are unsuccessful at resolving our conflicts and the tension escalates. Having to deal with highly confrontational or defiant individuals on a daily basis could lead to much stress. Parenting: need we say more? Managing the many responsibilities and stresses of parenthood alongside those of everyday life could become overwhelming, especially for new parents. This kind of stress also applied to individuals in other care giving positions, but with different ramifications of course. Insufficient rest and sleep: even if you are a highly organized person and feel like you’ve got a hold on things both mentally and emotionally, failing to get enough sleep and rest can lead to irritability and resentment of one’s responsibilities. Relationship conflict: difficulties in one’s romantic relationship can be very distressing and use up a lot of thought and energy. This distraction could lead to further stress as it may keep us from concentrating on our work and other important matters in our lives. Schedules & deadlines: even when we are ahead of the game, a looming deadline can put the pressure on. Keeping within the confines of a schedule when ‘life happens’ can also cause much stress. These are both very common external stress triggers. Family difficulties: the same way relationship troubles could take a tole on an individual’s psyche, family difficulties can be very taxing as they are often complex and affect many parties; children and in laws for example. Illness or death of a loved one: chronic illness and loss can of course cause much distress as they involve fear of the unknown and adjusting to life without a beloved person. After reading these common stress triggers, could you identify yours as more internal or external? Research has shown that when it comes to individual differences in resiliency to stressful life events (think external triggers) individuals with a good social support network and the opportunity to ventilate and seek comfort from others, experience less stress than those without a good support system, in difficult circumstances. Internal stress triggers however, are a different animal, as they speak to the way we are on a personal level; our personalities, thinking patterns, and ideas about life and the world we live in. Chronic negative thinking or perfectionism, for example, may result from our upbringing or have certain hereditary bases. 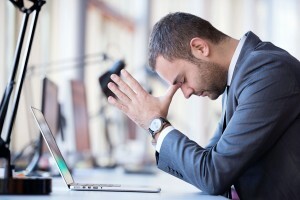 As such, it could be said that internal stress triggers may be slightly more challenging to work with as they could be indicative of a more chronic or organic problem. Either way, regardless of what kinds of triggers result in your stress, there are many ways to manage and reduce stress in your life as well as prevent it from overwhelming you during more difficult times. Stay tuned as we will be sharing all of our best tips in our next post. Take this time to think about your stress triggers and really get to know yourself, and we’ll check up on you next week with effective strategies to bring you back to a cooler, calmer, and more collected you.